In the Guardian Shadiq Khan said he’s keen for Londoners to adopt small changes that can have a big environmental impact. 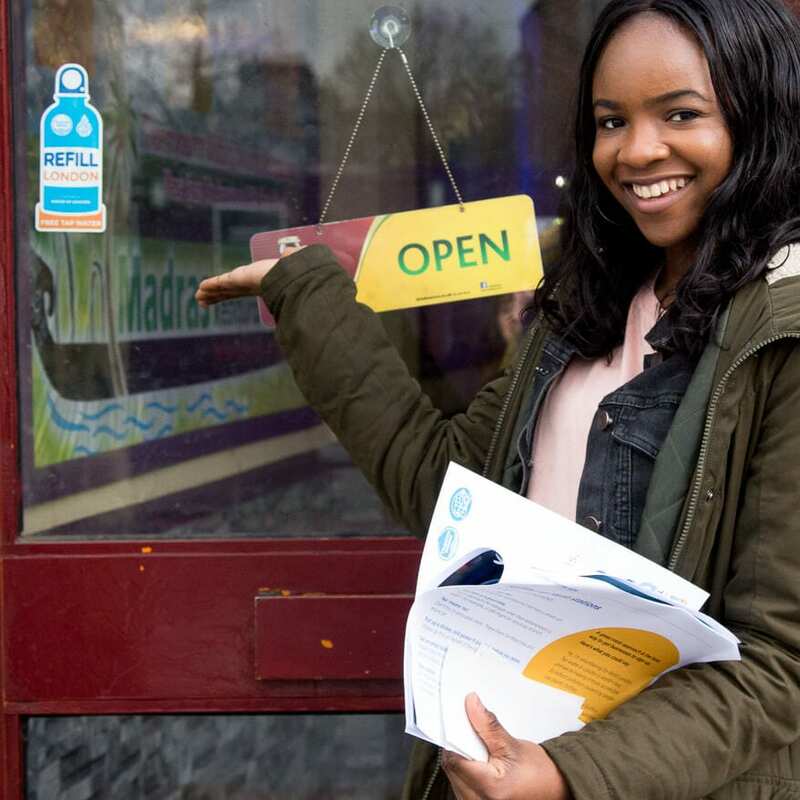 We already have hundreds of Refill Stations on the map in London, with more signing up every day – so you can reuse, Refill and refresh with ease. Did you know the average Londoner uses 175 single-use plastic bottles a year – and only half of them get recycled. But panic not – Refill London has come to town! What are we doing in Refill London? In partnership with the Mayor of London, we have developed a unique Refill Scheme, to acknowledge the sheer scale of the issue. Working together, Refill London hopes to turn the tide on single-use plastic and set an example for other capital cities around the world. The Mayor of London, Sadiq Khan has said: “A free tap water scheme is long overdue in London and I welcome all of the retailers and business who have shown their strong commitment to reducing unnecessary plastic waste by joining the scheme.” Hundreds of shops and businesses including Costa Coffee and Leon have signed up to the scheme, with the National Theatre and Tate Modern joining the initiative too. To support National Refill Day, Thames Water took to the streets with their own ‘plastic man’ covered in 175 plastic water bottles, to vividly highlight the number of bottles the average Londoner buys in one year. The bottles were all collected after being dumped in the River Thames, with the costume paraded around London to reinforce the message. If you have any questions about Refill London and what’s going on in that area please get in touch with Nadine, our Regional Coordinator.